Each episode of the folksy science show is “a patchwork of people, sounds, stories and experiences centered around One Big Idea.” The banter between hosts Jad Abumrad & Robert Krulwich can be slightly grating at times, but, overall, they do a great job of boiling down complex subjects and keeping things interesting. The way they use sound is intriguing too. Jorge Luis Borges wrote, “Time is the substance from which I am made. Time is a river which carries me along, but I am the river; it is a tiger that devours me, but I am the tiger; it is a fire that consumes me, but I am the fire,” and it’s as close a definition as we have. But maybe if we slow time down enough, or speed it up enough, we can unlock its secrets. 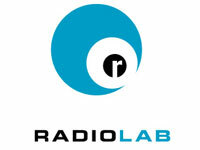 On this week’s Radio Lab, we’re using our hour to try and do just that. What happens when there is no leader? Starlings, bees, and ants manage just fine. In fact, they form staggeringly complicated societies, all without a Toscanini to conduct them into harmony. How? That’s our question this hour. We gaze down at the bottom-up logic of cities, Google, even our very own brains. Featured: author Steven Johnson, fire-flyologists John and Elizabeth Buck, biologist E.O. Wilson, Ant expert Debra Gordon, mathematician Steve Strogatz, economist James Surowiecki, and neurologists Oliver Sacks and Christof Koch. Where does our sense of right and wrong come from? We peer inside the brains of people contemplating moral dilemmas, watch chimps at a primate research center share blackberries, observe a playgroup of 3 year-olds fighting over toys, and tour the country’s first penitentiary, Eastern State Prison. Also: the story of land grabbing, indentured servitude and slum lording in the fourth grade. More show descriptions at the Radio Lab archive. If you’re a pop science fan, check it out.